When I was younger, I never really ate sugary cereals. My mom occasionally let me get a box, to try. I can remember one specific circumstance when I picked a box of Peanut Butter Captain Crunch. That was probably one of the worst decisions I've ever made. When Colt moved in nearly 3 years ago, there was a gradual influx of new food items into my pantry. One of which was sugary cereals. 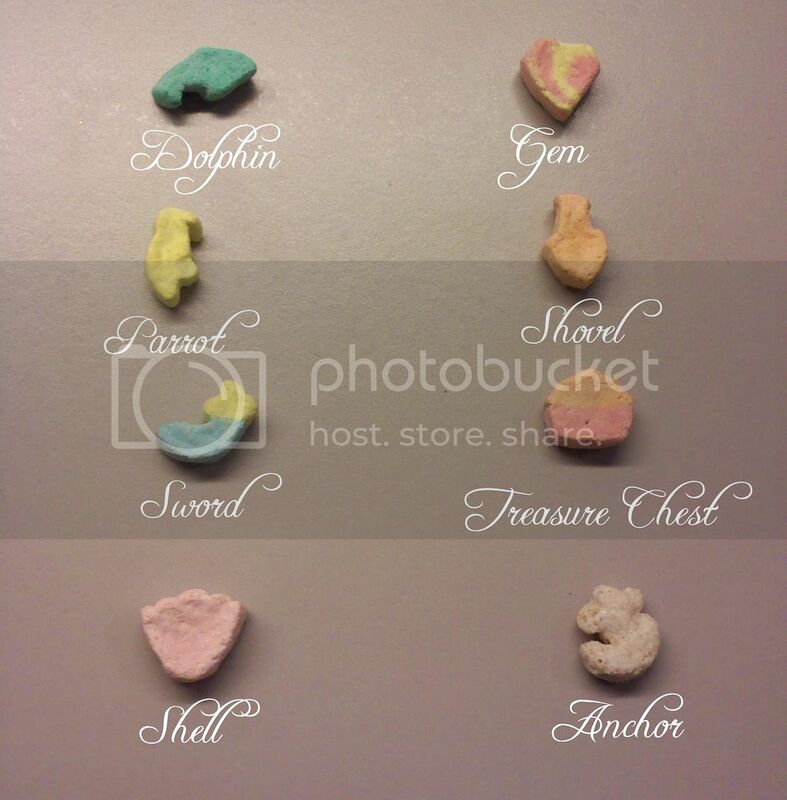 Through him, I realized my love of Lucky Charms. 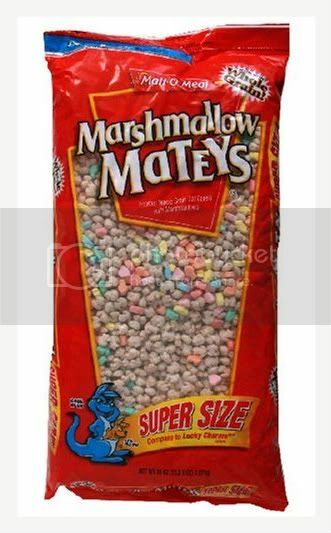 One fateful day at the grocery store, we were being budget conscious and instead of going for the brand name, we picked up a giant bag of Malt-O-Meal Marshmallow Mateys. Say hello to this week's obsessed. Pirate-themed cereal? Can it get any better? How do you like that artsy macro shot I took with my cell phone? I'm sure this cereal is playing havoc on my teeth, but looking at the back of the package, they are surprisingly good for your body. And you can't beat $5 for 38 oz of awesomeness. 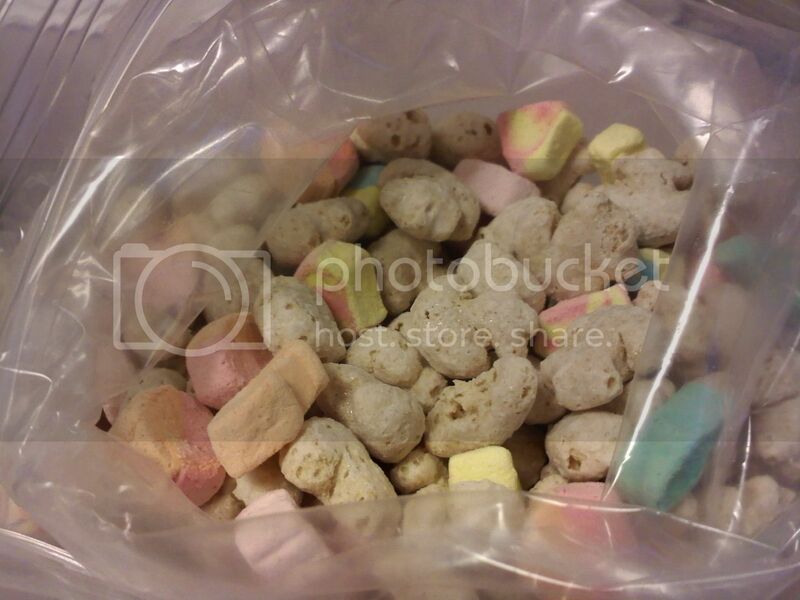 Labels: cereal, marshmallow mateys, obsessed. You took that pic with your cell?! That is amazing quality. And frick, now I want some. Wonder if we've got it up here. Mmmmm....now I want some cereal. The green dolphins are my personal favorite part!